Or this fun Rand McNally map that includes one of my favorite states, Alaska for $215. 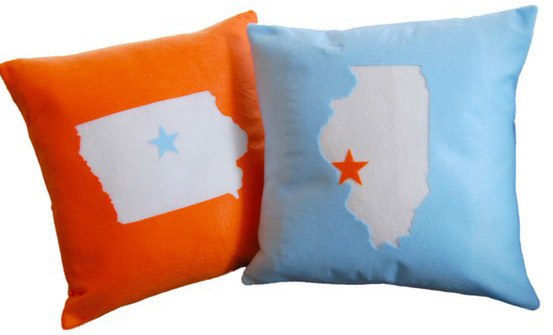 For some state pride, a fun idea are these custom made pillows from Diffraction Fiber for just $30 each. Another way to show love for your part of the country are these beautifully designed art prints from JHill Design. They range in price from $22-$65. I bought the Georgia print for my home as I loved the colors and ode to Martin Luther King.